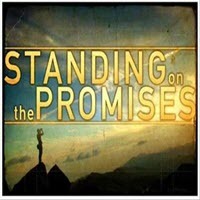 Floodgates of Heaven Devotions: Standing on the Promises! Today’s Reflection: Job 13:18 Behold now, I have ordered my cause; I know that I shall be justified. Job here, speaking as if he had been put on trial by his self-righteous and misguided friends so as to be found guilty, orders his cause, or in other words, lays out his case before his accusers. A careful study of this passage in its entirety would also reveal that Job reminds his friends that they are not telling him anything he doesn’t already know about God. In other words, their words are misapplied to his situation, and therefore empty to him. What they had to say was no help to him, but only brought about more pain and anguish of spirit. He was so troubled by their assumption that he was living in sin and therefore was suffering that he, in essence, asked them to just keep their distance and keep their thoughts to themselves (see vs. 21). He even sarcastically chided with them at one point in chapter eleven and said that wisdom would die with them! So sharp was the contention between Job and his friends during his trial that in chapter thirteen, verse nineteen, he asks, “Who is he that will plead with me?” In other words, will anyone speak up in my defense, or am I to stand by and for myself? In fact, Job is so convinced that he is standing alone in defense of his innocence before God that he goes on to say, “…for now, if I hold my tongue, I shall give up the ghost.” In other words, if it were left up to his friends, he would die without defense, and so he is left with only one option, and that is to speak up for himself. Now, a word to the wise; only speak up for yourself when you KNOW you are in the right! Job sets this example for us in that he said, “I know that I shall be justified.” And that is where I want to park my predominant thought for you today; namely, that when you live for The Lord, and maintain your integrity, you can walk in full confidence KNOWING that you SHALL be justified in the end, because God will be your defense! Regardless of what comes your way, be it trials of sorrow, sickness, or slander, when you walk with God, you can walk in CONFIDENCE! It may not look like you are winning today, but keep the faith my friend, because your defense is on the way. When you stand up for God, God will stand by you when no one else will! Others may tell you that you earned your troubles, but God knows the truth!